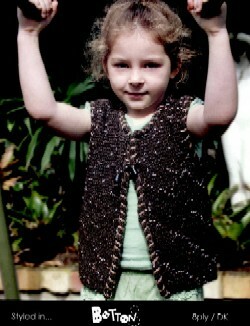 Details: Instructions given for 61 cm. 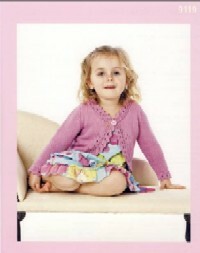 (24 inch) Bust, larger sizes given in round brackets. 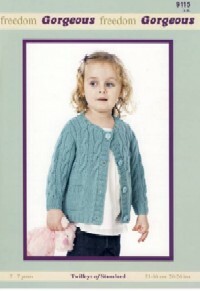 Where only one figure is given this applies to all sizes. 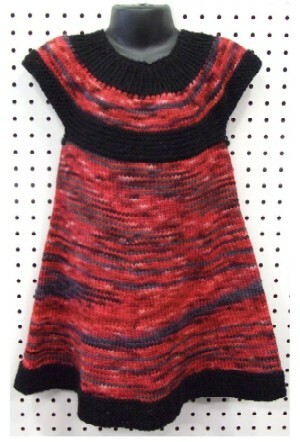 Oodles of ruffles at hem, cuffs, and neck add up to oodles of fun in this easy fitting, tunic length, girly-girl sweater. 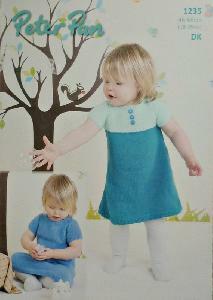 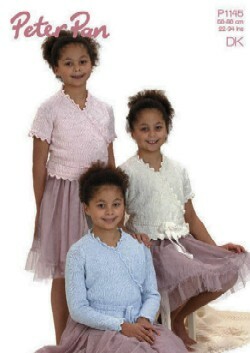 In four sizes: XS(3T-4T), S(5-6), M(7-8), and L(10). 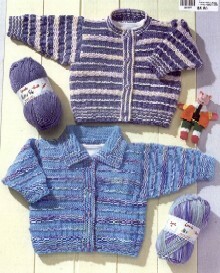 Easy top down knitting, no sewing together! 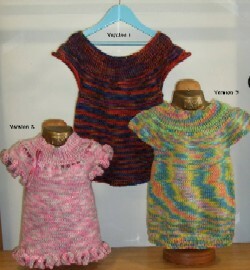 3 sleeve options rolled, frilled or fitted. 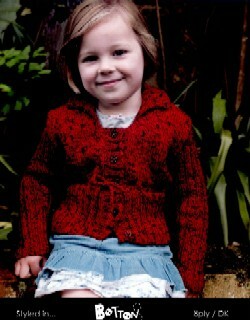 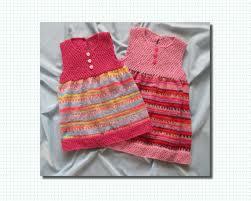 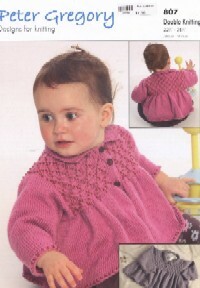 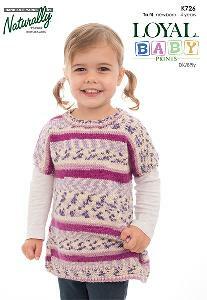 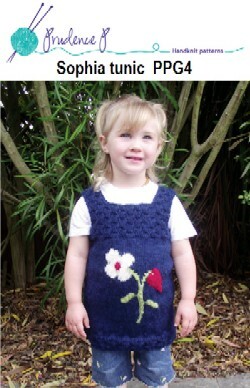 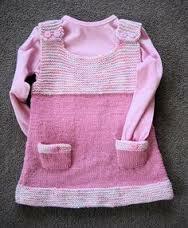 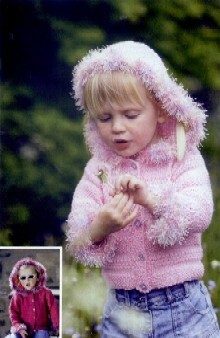 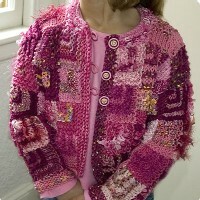 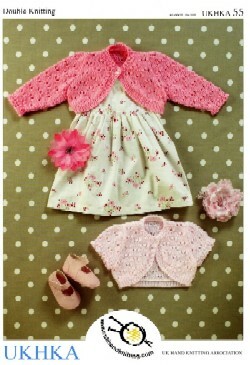 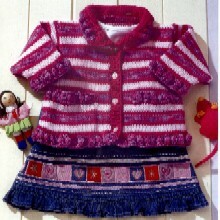 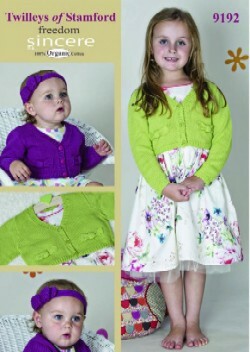 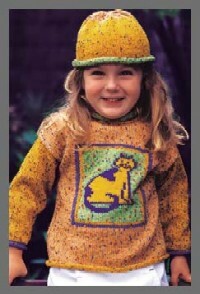 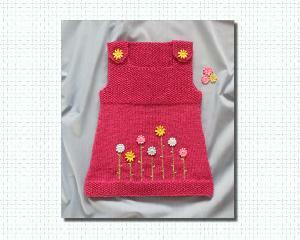 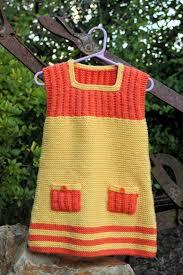 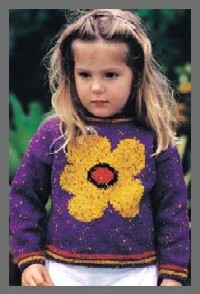 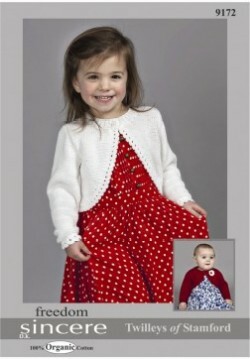 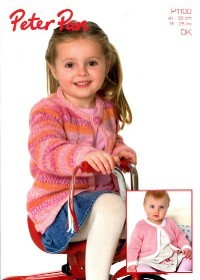 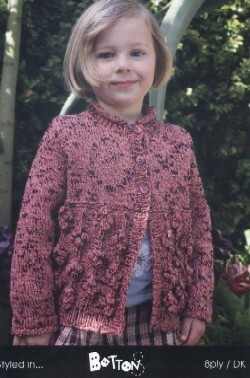 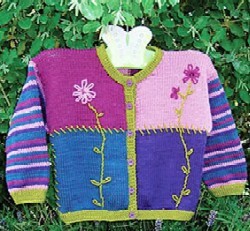 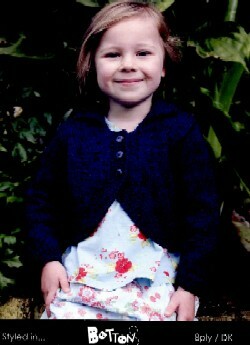 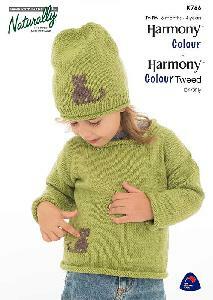 pretty knitted Jacket for little ladies with Cable design half way up and little pockets for knick - knacks. 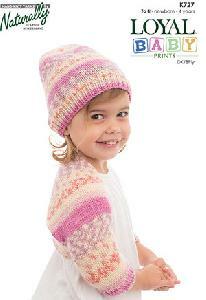 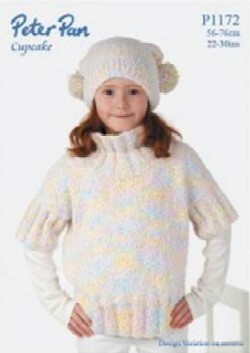 This pattern includes instruction for a hood if wished for or wanted. 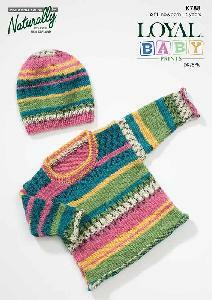 Designed originally for Twilleys Freedom Gorgeous Dk, a Bamboo rich Yarn with a very soft feel and a lovely sheen, but will work Just Grand with the Sincere Cotton if you prefer Cotton. 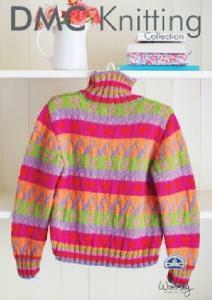 Knitted top down in one piece so no seaming required! 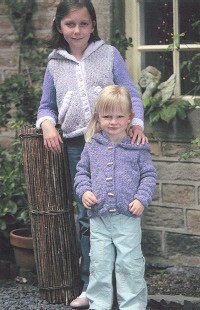 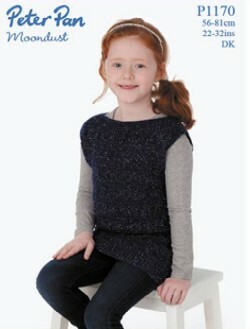 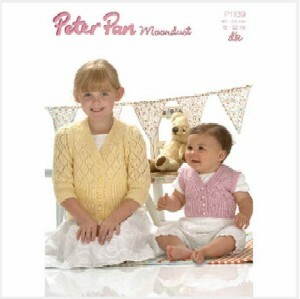 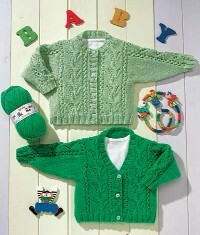 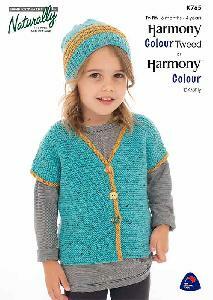 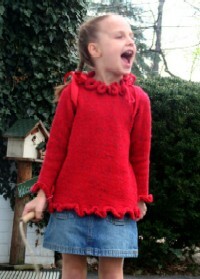 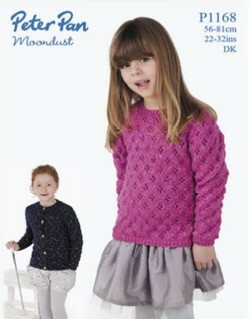 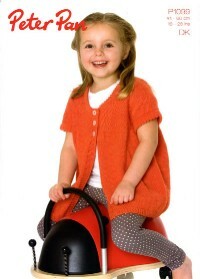 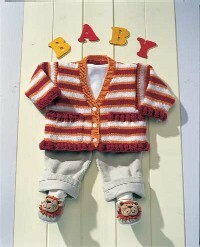 This cropped boatneck girl's cardigan knitting pattern from Sublime has lovely texture detail round the neckline, and can be knitted with long or short sleeves for summer.